I see that the Interest Form says that the cost of my tour stop will vary based on the types of activations I select. What does this mean? Priority scheduling (If you commit to the full cost of a tour stop and to produce at least 2 events as part of the stop on campus, we will work with you first to lock in the date for your event and build the tour around the campuses that commit to these events as early as possible). At least 3 PLAN staff on the ground for your tour stop. **The cost of these events may vary depending on what you do (for example, bringing in outside speakers from our speakers bureau may require additional costs). We recommend you filling out the form and coordinating with us on finalized costs for these event. What If I Only Want to do 1 of the 6 options? We consider a “fully engaged” tour stop to include at least two of the six options to round out the impact and intersectional focus of these events. If you only want to organize 1 event instead of 2, we refer you to the following sliding scale for the cost of these events. After we schedule the route of the tour with our fully engaged campus tour stops, we will work with you to schedule a stop along the road to support your event as well. There are so many options! How do I pick? Ultimately, we recommend selecting two or three of these options! Mix and match events that will gain a lot of support and traction on your campus and we’ll support you every step of the way. 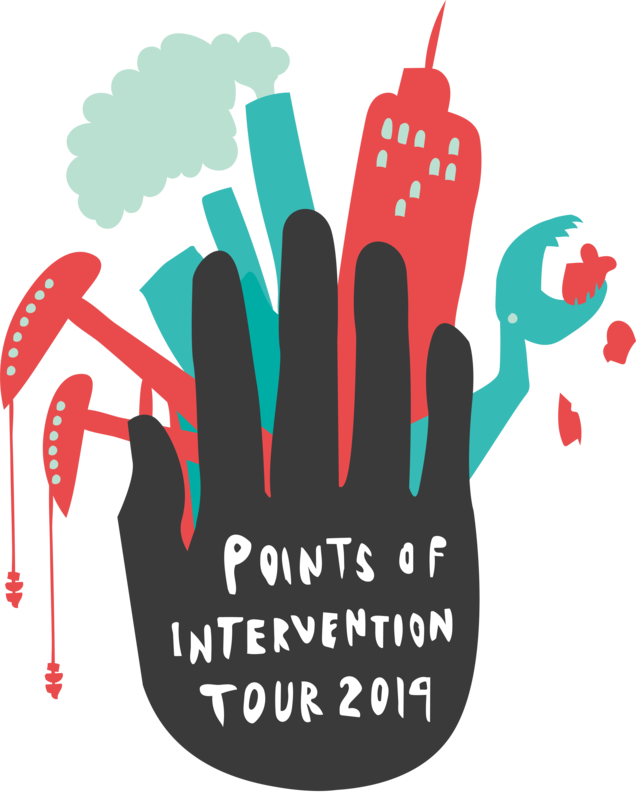 What does a Points of Intervention Fair look like? POI fairs are designed to build relationships between campus offices and the broader community. We will work to collaboratively brainstorm and support campuses with outreach strategies for the fairs and will work with our partners to gauge their interest in involvement. Typically PLAN’s fairs include exhibitors that are directly engaging students through activities, giveaways, and provide students with opportunities to channel their passions into existing work in their communities. In addition to the face to face engagement exhibitors have, fairs provide an opportunity for campus and community wide engagement, including coalition and relationship building throughout planning and beyond the tour stop. In building the POI19 tour, we are striving to work with campuses who form “regional clusters” — several campuses who share a community, resources, and/or challenges. The goal of working with clusters is to promote even stronger relationship-building among campuses and between campuses & communities. What is the difference between a PLAN speaking event and a POI Event? POI events are much larger scale and designed to engage as much of the campus and outside community as possible. They use the POI framework and typically include two activations. By contrast, the PLAN speaking events are geared towards a particular club, department or office and applies to a wide array of topics not limited to POI. However, our staff will be on the road and we are willing to work with you to coordinate speaking engagements while we’re in your area. What is the difference between a speaking event and a workshop? Speaker Series specifically focus on the framework of POI and our PLAN workshops can be related to this framework and theory of change, but not fully necessary. Workshops give tangible skills to participants and speaker series are meant to seed inspiration and cultivate conversations amongst participants. PLAN has a workshop series that are pre-crafted and time-tested (see them on the POI19 page), or we can work with outside speakers & campus-specific topics to customize workshops.